If you’re following a specialized diet like paleo, vegan, gluten or dairy free, the holidays can be somewhat challenging, especially if you’re traveling and away from home visiting family. Plus for your hosts, when preparing indulgent treats for the holidays, these specialized dietary needs can provide an additional obstacle for many – especially if the ingredients are hard to find or something they’re not used to having on hand. For those trying out new recipes this holiday season to accommodate friends and family, we have five recipe recommendations that can accommodate these special diets that everyone is sure to enjoy? 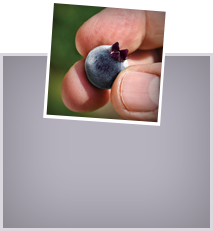 Each recipe’s star ingredient is frozen Wild Blueberries. These tiny berries are full of intense blueberry flavor that’s also rich in antioxidants, high in fiber, and lower in sugar than ordinary blueberries. That punch of flavor will have everyone’s taste buds dancing, and everyone will feel included at the table. Everyone loves donuts so whip up this vegan-friendly recipe created by Kathy Patalsky of Happy Healthy Life. They bake up fluffy and snackable, and they taste delicious. 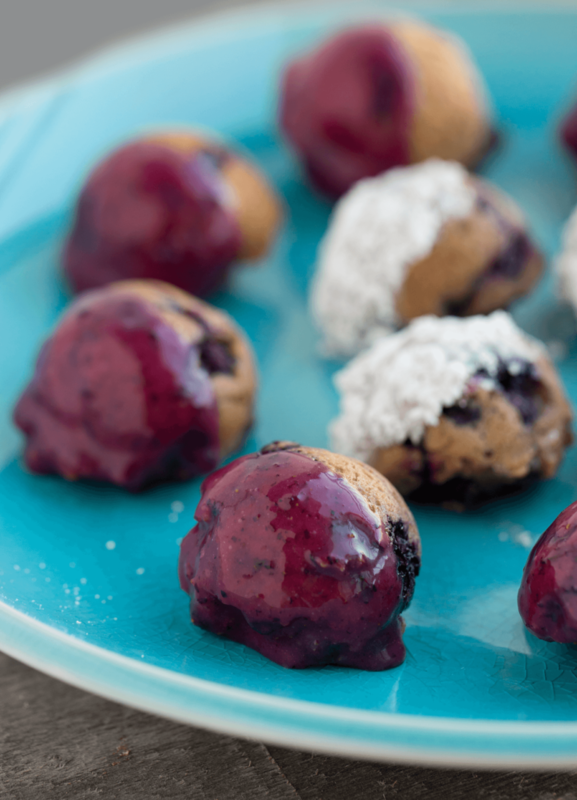 When your guests take their first bite, especially when they’re warm out of the oven, no one will even suspect these yummy little treats with Wild Blueberries in every bite are vegan. 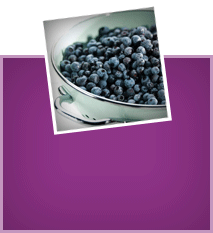 Don’t forget to add If Kathy’s Wild Blueberry glaze to add more flavor, color, and fun. A delicious coffee cake is a welcomed addition to any breakfast or brunch. 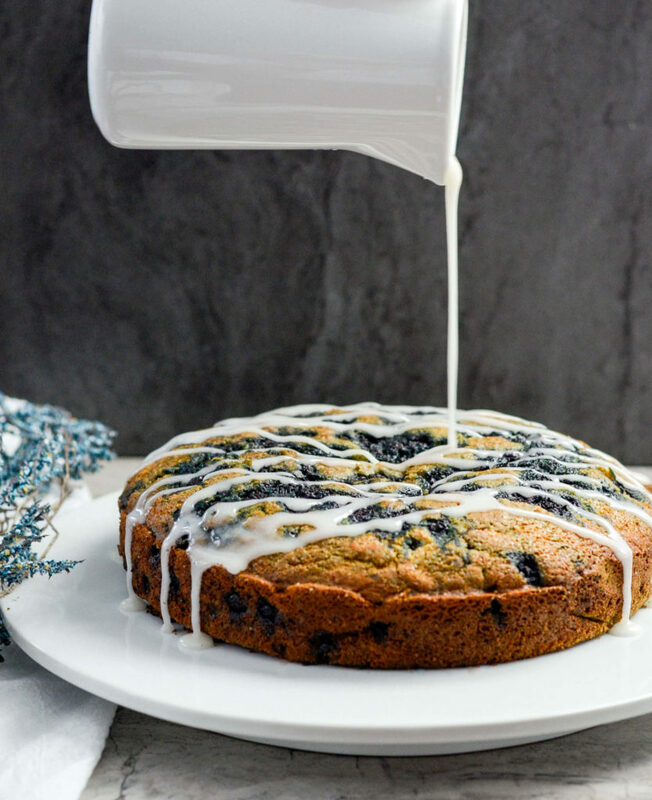 This dairy-free option, created by Laura Sanford of JoyFoodSunshine, is made with coconut milk and all-purpose flour but it can easily be adapted to be made with any milk alternative and gluten-free flour. 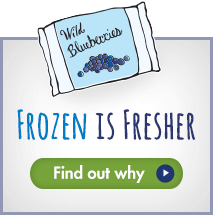 The frozen Wild Blueberries add beautiful color and pops of intense blueberry flavor in every bite. Fruit tarts are a gorgeous dessert for the holiday table and this gluten-free recipe by Katie Morford of Mom’s Kitchen Handbook is incredibly simple to make. Even the junior chefs in your home can get in on the action. The combination of gluten-free flours makes for a delicious, flaky crust that doesn’t sacrifice taste or texture. And the Wild Blueberries really shine in this dish with their sweet, tart, and tangy combination of flavors. Enjoying a slice of warm cornbread is something just about everyone enjoys, and this recipe from Alisa Fleming of GoDairyFree.org has been a crowd favorite since its debut. 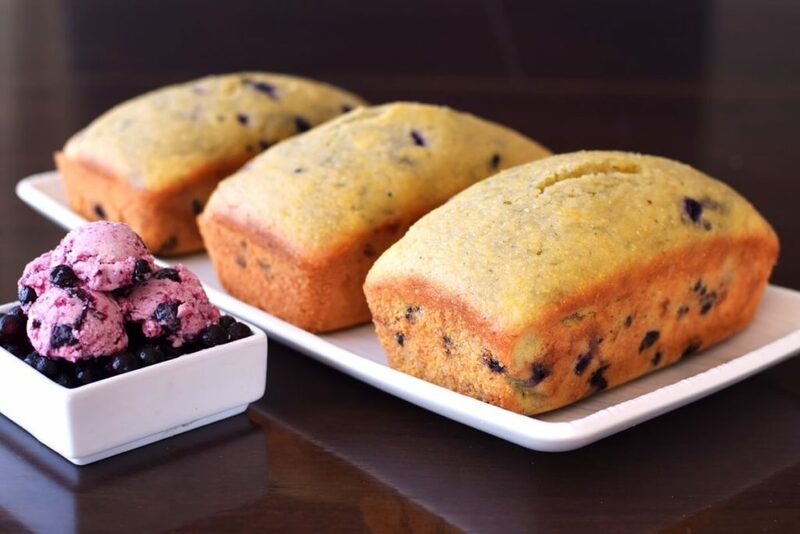 These mini loaves are adorable and packed with the delicious sweet and tangy flavors of Wild Blueberries., Alisa has also included a dairy-free “butter” that will take your cornbread to the next level. 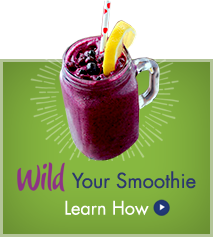 Leave those eating-like-a-caveman myths at home! These paleo cookies by Gina Matsoukas of Running to the Kitchen are paleo-friendly and simply magical. 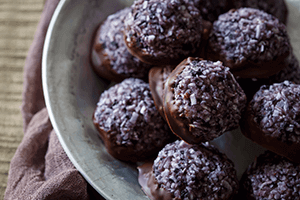 Once you’ve said, “Chocolate!” no one will remember (or believe) that these delicious macaroons are paleo. 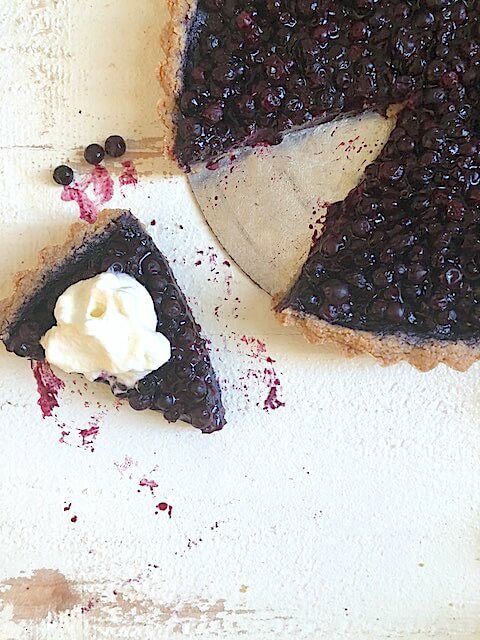 Made with shredded coconut and maple syrup and combined with frozen Wild Blueberries for a beautiful purple treat that everyone will be raving about and asking for the recipe as they head home.